Loading screens may occasionally appear during playtime as the game autosaves. Kalypso launcher, keys not redeemable on Steam. 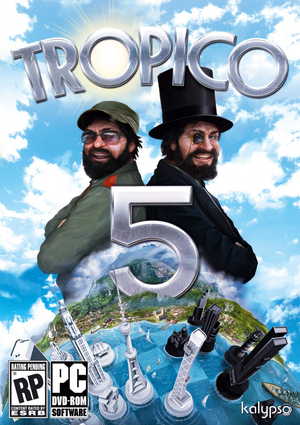 Available in the Tropico Bundle. Only the Windows version uses the Kalypso Launcher. Only available as part of the Limited Edition. Only available as part of the Steam Special Edition. Save games with the same name will not be overwritten. 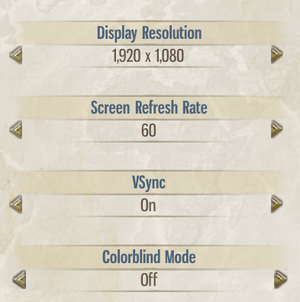 Large resolutions will cause issues because of the lack of FoV options. Located before or after the highest resolution setting. Controller is also usable in launcher. Rename your currently used language, such as Italian.hpk to something else. 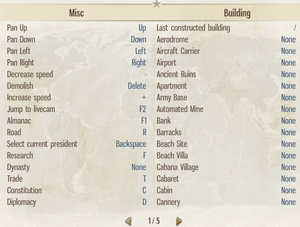 Go to the Tropico website and download the hotfix. Execute the installer, it will automatically find and patch your current installation. A DirectX 11 graphics card is required. 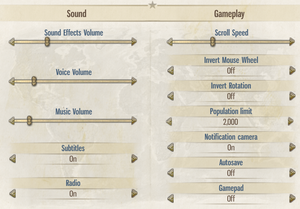 In some cases, the game may work on systems with only a DX10.1 GPU. ↑ READ FIRST! 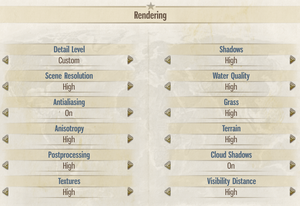 Tropico 5 requires a DirectX 11 graphics card!